I’m taking my wife to New York for a romantic weekend. However, I’m have a devil of a time finding a pair of hip, downtown shoes in my size, which is sixteen. Please help. Manolo says, at the least, the Manolo’s friend can take comfort that the size sixteen, while enormous, is not the biggest feets of which the Manolo has ever heard. Indeed, the Manolo had the acquaintance many years ago, who wore the size eighteen (which he covered most frequently in the red Converse All-Stars). And even this freakishly large size is still well below the extra freakishly large Shaquille O’Neal size twenty-threes. It is the opinion of the Manolo that men with such majestic feet deserve nothing less than the finest custom made English shoes, although such luxurious feetwear are generally beyond the means of the average person. Likewise, there are other on-line shoe stores which carry the big sizes, including the always reliable Zappos. Speaking of majestic shoes, here is the Rex from Donald Pliner. Wear them with blue-jeans and you will be the hippest big-footed man in all of the TribeSoNoLitaHo. This entry was posted on Friday, February 26th, 2010 at 8:00 am by Manolo the Shoeblogger and is filed under Donald J. Pliner, Men's Shoes. You can follow any responses to this entry through the RSS 2.0 feed. Both comments and pings are currently closed. I also had a problem finding shoes in my size when a friend recommended a London based company who create handmade shoes. As well as an impressive collection they also provide a gift package where you are able to design your own made to measure shoes. I agree with your advice, Manolo’s are really nice. I also like Ferrini. Ferrini produces exclusive leather products for the discriminating buyer. Ferrini shoes are made from high grade natural leathers with careful attention to detail and finish. 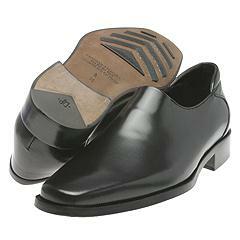 Supreme Clothiers has great prices on Ferrini Shoes. They aslo specialize in Big and Tall sizes. I have a friend is to make shoes, and I asked him how shoes are so cheap. He said the competition.